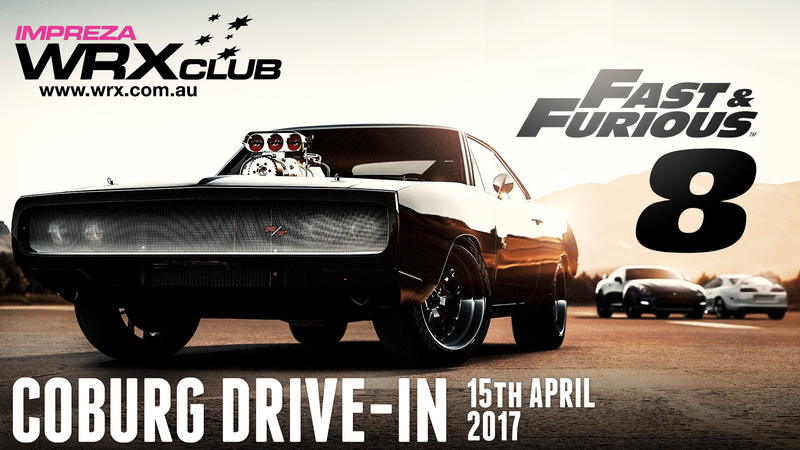 Join the WRX Club For an old-school movie night, bring your family or a carload of mates to the Village Drive-In and watch movies like they did in the '50s! The Coburg Drive-In '50s style diner serves a variety of take away food and confectionery. A full hot food menu including burgers, hot dogs, chips and donuts is available along with the traditional Coke, popcorn and Choc tops. The session time has been confirmed at 8.30PM on Saturday 15 of April . We encourage everyone to arrive between 7.30PM - 8PM to get good parking. The cinema diner will be open at this time for anyone peckish prior to the movie, and of course candy bar snacks will be available at our special member pricing too. You will need to tell the person at the gate you are from the "WRX Club" and possibly present your current club membership card. If we are not at the gate on the side.